Welcome to the new Music Educators Association of New Jersey Website! The Music Educators Association of NJ is a non-profit 501(c)(3) organization of private piano teachers founded in 1927. Our mission is to raise the standards of private music teaching throughout New Jersey, while encouraging musical excellence and instilling a love of music in our students. To achieve these goals, we provide continuing education opportunities for our member teachers through monthly lectures, workshops, recitals and master classes. For our students, we offer auditions, competitions, recitals, scholarships and master classes given by artist teachers. Our current President is Nancy Modell, 2016-2019. Messages from the President can be found under Membership on the main menu. We invite you to browse our website and discover the exciting world of music MEA offers. Please note that hyperlinks are noted in Bold Red and when clicked will bring you directly to related pages or forms. Congratulations to all the students and teachers who participated in this year’s piano competition, “Homage to Bach”. The level of playing was of the highest standard, and the concert on March 17th in the Leshowitz Recital Hall at Montclair State University was a great success. The teachers of the first, second and third place winners are: Hyunjin Cho, Gloria Chu, Shinwen Chung, Rebecca Eng, David Iskowitz, Anna Katznelson, Mansoon Kim, Ruth Kotik, Julia Lam, Yuhui Chloris Li, Florence Liu, Beatrice Long, Aziza Khasanova Madaski, Marcia Maull, Eric Olson, Daniel Parente, Thomas Parente, Gena Raps, Youson Soheil, Stella Xu, Yuka Yanagi and Grace Yang. Special thanks to the APC committee for all their hard work all year long: Barbara Landi Hause and Anna Katznelson -Co-Chairs, Ana Berschadsky, Rebecca Eng, Vicky Griswold, Florence Liu, Beatrice Long, Kai Pangune Kim, Youn-Hee Bang Kim, Ruth Kotik, Michelle Kuo, and Yuka Yanagi. We are very grateful to the County College of Morris for hosting the competition in their beautiful Music Technology building, and to Montclair State University for the use of the lovely Leshowitz Recital Hall. Special Note: Be on the lookout for the new syllabus, to be posted on the MEA website by June 1. The year 2020 marks the 50th year of the APC, and the theme will be “50th Anniversary: Best of Yesteryear”. Tell your students to look forward to playing some of the greatest hits from the past 50 years! General Meeting - Madison Library , 9:45 A.M.
"In my recordings of their music, I have judiciously added embellishments in the repeat sections of their works. For many, this seems logical in reflection of the common practice of the times they were composed, for others, it's 'stick to the score adding nothing'. I have enjoyed conversations with Anthony Newman about this, and he has repeatedly endorsed this practice. I will demonstrate and perform pieces by both composers in the time allowed." Visit Mr. Biegel's website to read his full bigraphy Here. May 5th - 2 P.M. The Original Composition Festival will be held at Caldwell University on May 5th at 2 p.m. There are 28 original compositions being performed this year. Many students who competed in the Eric Steiner Original Composition Competition will also be performing. Five of the student compositions are for violin and piano and one is an electronic music performance piece! This is going to be a very exciting program with a lot of talented students performing. Come and join the fun! Admission is free though a donation is requested. Parking Lot: Once on campus, make the first right and circle around to the last parking lot on the right. There are tennis courts by that lot. Fifteen teachers signed up 145 students on the first day of the Annual Piano Auditions Registration! Congratulations to those teachers who took the plunge early and succesffuly navigated the new system! As of March 25, registration was approaching the 1000 student mark! To access your Audition Portal you must be an "Active Member" so be sure to pay your membership dues if you have not already done so. You also must be able to access your Member Homepage. Please do this ASAP so that you can explore your Audition Portal and register your students before the March 31 deadline. Note: The Annual Auditions Site Location and Map Information document is still available from Forms/ Downloads on the Homepage of the MEA website. This document is available to the public. Please share this document with all students participating in the Annual Piano Auditions. For those students who qualify for the MEA Camp and College Scholarships, the deadline for applications is May 1. We encourage teachers to use the website and apply on-line, or you may use the printable forms available in the Forms/Downloads section. Please review all the requirements and submit the necessary documents at one time. Also, please visit the Scholarship page to read the wonderful write-ups by students who received the 2018 Camp Scholarships. Thursday, March 21, 2019 at 9:45 a.m.
Stay tuned for the Highlights from this event! Joseph Kalichstein enthralls audiences all over the globe, winning equal praise as orchestral soloist, recitalist and chamber musician. As an Australian critic exclaimed: “To hear Kalichstein play is to fall in love with music all over again!” Visit Here to learn more about this world renowned artist! This is going to be a fantastic propgram! Check out the Highlights Here. On February 21, Aaron spoke about Debussy and Visual Arts. Aaron is on the faculty at Juilliard and William Paterson University, Graduate Department. He is an excellent lecturer and exquisite pianist. You can read all about his illustrious career Here. EXCITING NEW CHANGES TO THE AUDITION SYLLABUS for 2019! The Audition Committee is happy to share some exciting changes that were made to the syllabus. Be sure to go to your Member Homepage to view or download the revised syllabus. We have been listening to your concerns! • Student arrangements are now an acceptable option for required repertoire. An original composition or a student arrangement may be performed as one of the required pieces providing it is comparable to the level of difficulty for that particular grade and category and is notated. Note: As of 2017 this applied only to Original Compositions. The requirement limiting repertoire to only one piece from a given method book has been removed. This applies to the Introductory through Junior B categories. A NEW LEVEL HAS BEEN ADDED! A Pre-Senior D has been added to the previous three Pre-Senior levels. This level will help smooth the transition to the Senior level. It has only three categories and requires only one piece by memory. The pieces required are more difficult than on the Intermediate level but students will be able to progress to the next level without having to prepare a fourth piece and additional memorization. Please remember that pop and jazz pieces have always been an option for the choice selection. It seems that many teacher are unaware of this, so we wrote it out more clearly where applicable. The choice selection can be a comparable piece from any period including pop, jazz, and notated originals and arrangements. Applies to Junior A through YA. If you have not renewed your membership, you will not be able to access your Member Homepage and download the Syllabus, so it may be a good time to do so now. If you have renewed and cannot access your Member Homepage, contact Joan Bujacich: auditions@mea- nj.org. 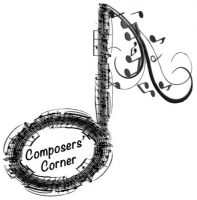 The second meeting of the MEA's Composers' Corner will be Thursday, March 28, at 10:15 A.M. at the home of Dan Crisci, Maplewood. RSVP to: dcrisci88@gmail.com. The October 25th "kickoff' meeting of MEA's Composer's Corner was significant, congenial and enlightening. There was an extensive variety of musical styles and sensibilities that each composer brought to the group. An atmosphere of openness and a willingness to share abounded in this good-vibe, first meeting, followed by a light bite to eat. Registration is closed for this event. Stay tuned for the announcement of the winners! View the student compositions from 2018 in a beautiful booklet which is available for current members to view/download. Simply login to your Member Homepage and look in the right-hand column under downloadable documents. Chair Kathy Knittel and Christina Hansen did a beautiful job putting together this lovely compilation. Join us at the Madison Library on May 16 to hear Adam Kent present Portraits of Barcelona — works by Catalan composers Federico Mompou and Manuel Blancafort. Please arrive by 9:45. Learn more about our wonderful guest speaker and perfromer Here. The Golden Age of Pianism on Record: Jed Distler examined traditions of Romantic performance practice through the artistry of legendary piano icons such as Josef Hofmann, Ignaz Friedman, Benno Moiseiwitsch, Moriz Rosenthal and more. Stay tuned for the Highlights from this very exciting and inspiring presentation! 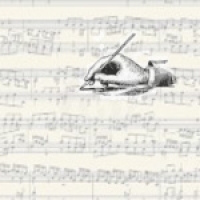 Composer/Pianist Jed Distler is the Artist-in-Residence for The Classical Network WWFM.org, where he is the creator, producer and host of the ASCAP Deems Taylor/Virgil Thomson Award winning weekly program Between the Keys. His recitals encompass mainly new music, including works composed especially for him by Frederic Rzewski, Alvin Curran, Andrew Thomas and others. Distler's compositions include a Guinness record-breaking piece for 175 keyboards, works for speaking pianist, chamber and vocal music, and a new chamber opera Tools, to be premiered in New York in October of 2019. His solo piano CD devoted to the music of Thelonious Monk will be released by TNC Music in January 2019. Distler contributes reviews to Gramophone and Classicstoday.com, and has written numerous booklet notes for box set reissues of pianists such as Horowitz, Graffman, Fleisher, Browning, Cliburn, Richter, Argerich and countless others. A Steinway artist, Distler has recorded more than 125 selections for Steinway's Spirio reproducing piano. For the full scope of Distler's activities, visit www.jeddistler.com. Read the latest message from our president, Nancy Modell Here. Three exceptional recitals were presented on Sunday, November 11, 2018 at the intimate Randolph Performing Arts Center of the Music Den. A warm thank you is extended to all the judges, teachers and parents for their inputs and support. Thank you to the Honors Recital Committee members who worked tirelessly to ensure that the audition and recital days went smoothly. And congratulations to the 55 students who gave outstanding performances! Please visit the Honors Recital Highlights for a look at this MEA event. Gordon Li. A student of Julia Lam, Gordon is an 8th grader at William Annin Middle School and attended the one-week Westminster Choir College Piano Camp in July. Kelsey Lee. Kelsey, who studies with Beatrice Long, is a student at Summit High School and attended the two-week Interharmony International Music Festival in Germany in August. Eliza Tagle. Another student of Beatrice Long, Eliza also attended the two-week Interharmony International Music Festival in Germany in August. She is a student at Millburn High School. All three students have impressive music credentials and experience, including awards, recitals, second instrument proficiency, and ensemble performance. The Board awarded a total of $1,100. Click here to see the write-ups of their life-changing summer experiences. Congratulations to these outstanding, deserving young musicians! The MEA-MJN (Mary Jean Nelson) Scholarship Fund relies solely on the generosity of our donors, matching contributions from employers, and music sales at the monthly MEA general meetings. MEA is a nonprofit 501(c)(3) and all donations are tax-deductible. Making a contribution to the scholarship fund is a wonderful way to support aspiring musicians and perpetuate the beauty inherent in the arts. With your donation, you can also honor a person with congratulations (birthday, anniversary, graduation, etc. ), get-well wishes, or in memoriam. Please help us continue our scholarship efforts! For more information on the scholarship program click Here. Highlights are now available from our wonderful October Meeting! Guests from many New Jersey music organizations joined MEA members to hear Ingrid Clarfield’s presentation and enjoy the festive Potluck Buffet Luncheon at the October 18, 2018 general meeting. The change of venue to accommodate the larger audience and extensive buffet was ideal. It was truly a memorable event. To read more about the general features of the gathering and Ingrid's presentation go Here. The Higlights from this most exciting meeting are now posted. Click Here to read all about Ms. Osinchuk's wonderful presentation celebrating Leonard Bernstein's 100th Birthday! To learn more about our guest speaker visit Here. How do you share musical experiences among your students: class lessons, duets or trios, recitals, etc.? Look for the responses in the January 2019 Glissando! Suggestions for topic questions and comments on former topics are always welcome.